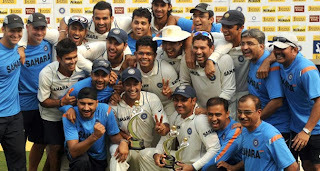 The year 2009 ended at high with Indian Test team reaching zenith of ICC rankings. Point missed in this event is importance of few experienced individuals like SRT, Dravid, Laxman and sehwag (and earlier ganguly and kumble) to the cause of the team. They act as buffer to pressure of international cricket. They also create pressure for the opposition and thus opportunities for the team. Compare the bad year we had in limited over cricket. At least SRT being there in ODI team, we won Compaq cup in Srilanka. Of course Australia series was a close one where two matches were lost on last ball. Had it gone other way we would have been number one ODI team. But, T20 team needs some overhaul. We could only win one T20 match against serious opposition (thanks to heroics of pathan brothers after main lineup failure). (This report was written after first T20 against srilanka). There is serious problem in fielding, bowling and shot selection. That too with such a young team fielding still remains worries. With IPL experience, we felt Indian first and second rung players would be masters of game. I think IPL has given opposition a very good insight into weaknesses of Indian players. Or maybe these players are too relaxed at International level as they have cushion of IPL successes to bank on even if they fail in International cricket. We started year with cancelled Pak Tour and a makeshift lanka ODI series which we won. In test we played one 6 six tests: 3 against NZ and 3 against SL. NZ series was a notable success as we have witnessed in past NZ sides in NZ have beaten us. Gautam Gambhir had a fabulous year as he is next best thing in Indian cricket which did not produce one since advent of Dhoni in 04. Ishant flattered to deceive. This brings another point to credit Saurav Ganguly as captain who spotted and nurtured players like Bhajji, sehwag, Yuvraj, Zaheer which all are repeated proven winners in International arena. Of course there have been false starts as well like those for Irfan, Balaji, Nehra. Coming back to 2009 Indian criket review: IPL had to be shifted in South Africa. It seems like people there enjoyed it. Indian cricket has a great market anywhere in world thanks to diaspora. But this resulted into thoughts about threat to tests and death of ODI. Both were proven wrong thanks to some great test cricket played by teams and crowds during Ind aus series. But administration needs to walk a tight rope to balance things. 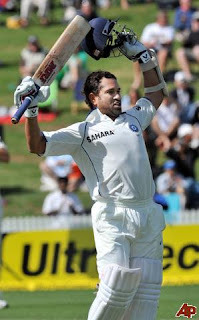 In tests, Sehwag again proved a match winner in two tests against Srilanka. He needs to sort out limited overs problem as even if he bats like test in ODI or T20, it will be great. Dravid got back in form. Yuvraj still has to sort out test tangles like sehwag in ODIs. Bowling had few problems with Ishant but shreeshants return is heart warming. Kumble was also missed severely. Zaheer if fit did a lot of damage. SRT and laxman still evoke fears in opposition bowling. Captain Dhoni had great time in test and with bat in ODI. He needs to be more assertive on field in limited over cricket. We failed miserably in ICCT20 and champions trophy. So after a single T20 win in 07, India still looks forward to fill ICC trophies. Only two to show: One in 83 and shared one in 2002 champion trophy. Atleast we are better of than South Africa. Pakistan and Australia won those tournaments. Australia lost ashes and South Africa a home series against Australia. England had good ashes but with flintoff exit they have challenge in South Africa. Srilanka also struggled though Dilshan had a great year. Murali and medis magic waned. Pakistan can boast of two emerging players in Umar Akmal and Amer. Kiwis team was strengthened by return of ICL players. Ireland and Netherlands did well in T20 ICC. SRT completed 20 years and go what a contribution it has been. Lets all hope we have good 2010 and preparation for 2011 world cup which we look forward to as a parting gift from this great player.